Luxury Whitby apartment with marina views. Free secure parking. This is a place by the sea that ticks everything on your home comforts list. All Aboard is a luxury two-bedroom, second-floor apartment offering central location, views and parking under one roof. It’s good to know your traditional seaside holiday can be enjoyed without compromising on luxury and features. A couple or family of four are made super-comfy in this riverside apartment. 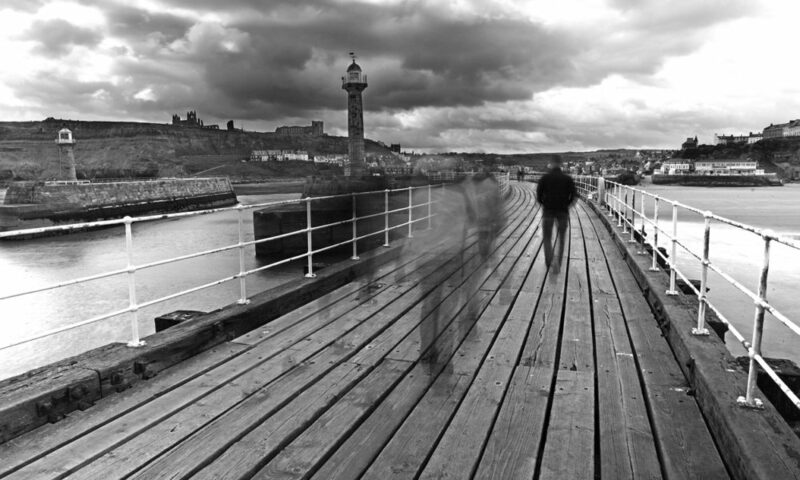 You’re up on the second floor of a popular new build, overlooking Whitby Marina. You have the luxury of a brilliant location and secure car parking underground in a designated spot as well as a lift. There’s a double room and a twin with plenty of clothes’ storage and fresh, white bed linen that’s a pleasure to slide into at night. You know you’re by the sea with the apartment’s coastal decor and the family bathroom has an over-bath rain shower, ready for reviving tired beach explorers. 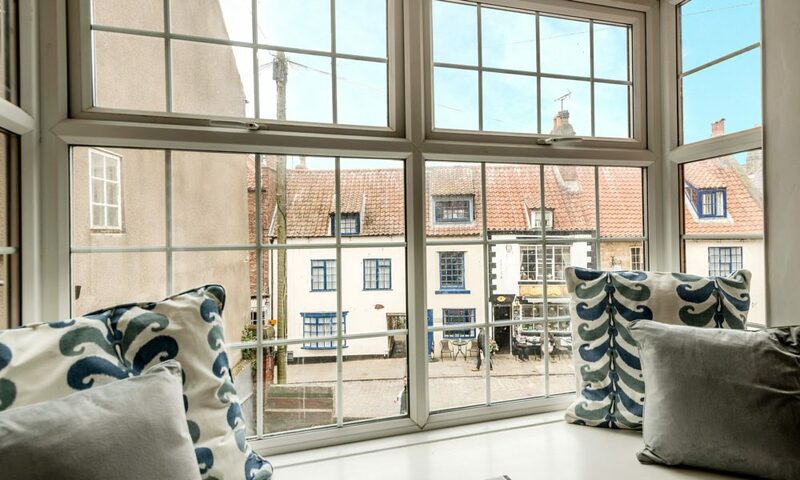 All Aboard apartment has a bright and airy feel, which is exaggerated by the lovely, full-height lounge window that lures in sunlight and views of the River Esk. You can also stay connected to your favourite Freeview TV channels or emails through the Wi-Fi. The new kitchen is a true delight and really complements the apartment’s style. There’s a full-size dishwasher and a washer/dryer making your stay such a breeze. You’re close to the town centre and can walk to Whitby Abbey from here. Discover the Whalebone Arch on Whitby’s West Side then sample fresh seafood, such as Fortune’s famous kippers, on the way back. Or travel to Sandsend without the struggle of finding a parking spot on your return. We do implore you, though, to simply sit and watch the marina boats paddling about and the regular steam train, all from the apartment window. Stayed elsewhere in previous years but prefer All Aboard, which was cosier and we liked the French Doors, which add an open feel. Delighted to add this stunning apartment to our growing portfolio.